The Beach. Theme Parks. Water Parks. What do we Floridians really do in the scorching Florida heat? We avoid those places and hunker-down under a shady oak to read our Sunshine State Young Readers Award books, of course. Most schools in Florida ask (well, really pray) that students to read a number of books from the fifteen Sunshine State Young Readers Award books each summer. 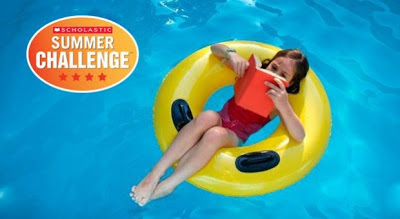 This year my school will also be participating in the Scholastic Summer Challenge so reading the Sunshine State Young Readers Award books should be even more fun! 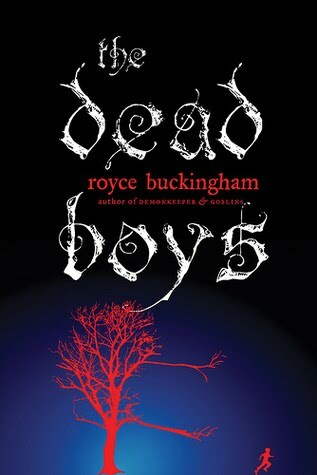 The Dead Boys by Royce Buckingham: "In the desert town of Richland, Washington, there stands a giant sycamore tree. Horribly mutated by nuclear waste, it feeds on the life energy of boys that it snags with its living roots. And when Teddy Matthews moves to town, the tree trains its sights on its next victim. From the start, Teddy knows something is very wrong with Richland-every kid he meets disappears before his eyes. A trip to the cemetery confirms that these boys are actually dead and trying to lure him to the tree. But that knowledge is no help when Teddy is swept into the tree's world, a dark version of Richland from which there is no escape . 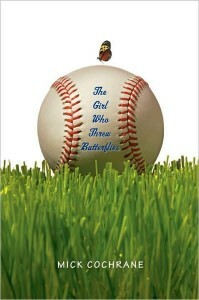 . ."
The Girl Who Threw Butterflies by Mick Cochrane: "For an eighth grader, Molly Williams has more than her fair share of problems. Her father has just died in a car accident, and her mother has become a withdrawn, quiet version of herself. Over the course of one baseball season, Molly must figure out how to redefine her relationships to things she loves, loved, and might love: her mother; her brilliant best friend, Celia; her father; her enigmatic and artistic teammate, Lonnie; and of course, baseball." 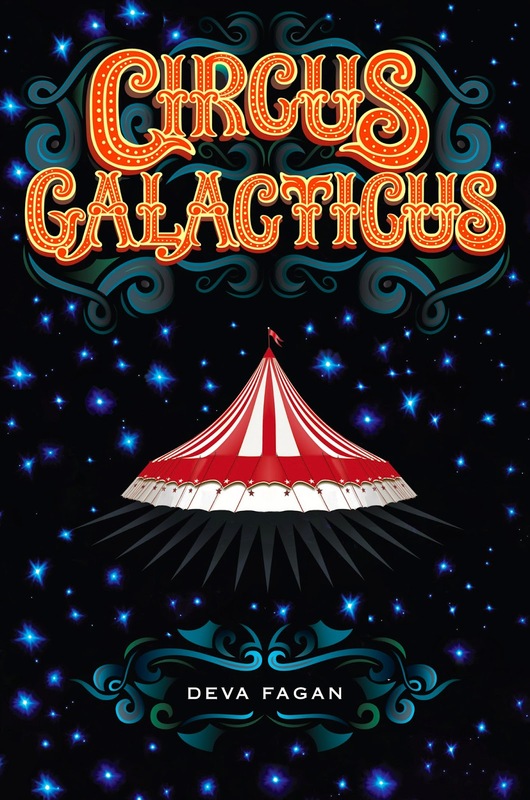 Circus Galacticus by Deva Fagan: "Trix can deal with being an orphan charity case at a snotty boarding school. She can hold her own when everyone else tells her not to dream big dreams. She can even fight back against the mysterious stranger in a silver mask who tries to steal the meteorite her parents trusted her to protect. Soon Trix discovers an entire universe full of deadly enemies and potential friends, not to mention space leeches, ancient alien artifacts, and exploding chocolate desserts. And she just might unravel the secrets of her own past if she can survive long enough." 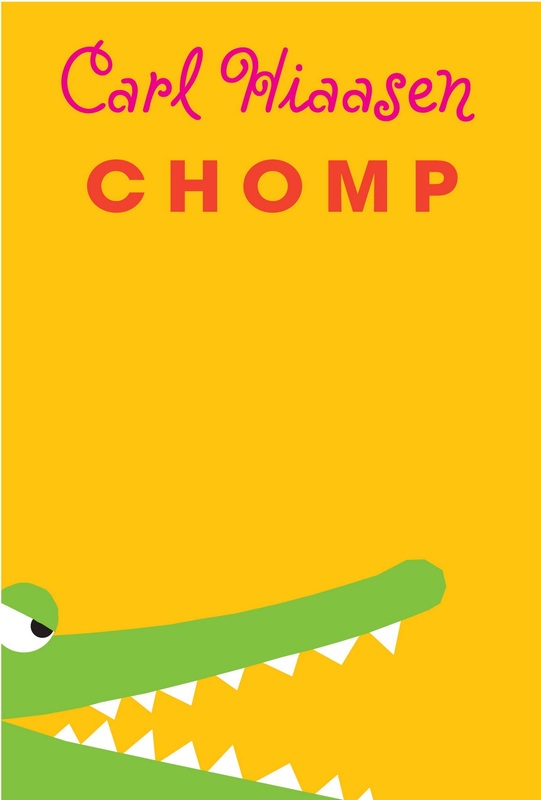 Chomp by Carl Hiaasen: "Wahoo Cray lives in a zoo. His father is an animal wrangler, so he's grown up with all manner of gators, snakes, parrots, rats, monkeys, and snappers in his backyard. The critters, he can handle. His father is the unpredictable one. When his dad takes a job with a reality TV show called Expedition Survival!, Wahoo figures he'll have to do a bit of wrangling himself—to keep his dad from killing Derek Badger, the show's inept and egotistical star, before the shoot is over. But the job keeps getting more complicated. Derek Badger foolishly believes his own PR and insists on using wild animals for his stunts. And Wahoo's acquired a shadow named Tuna—a girl who's sporting a shiner courtesy of her father and needs a place to hide out. 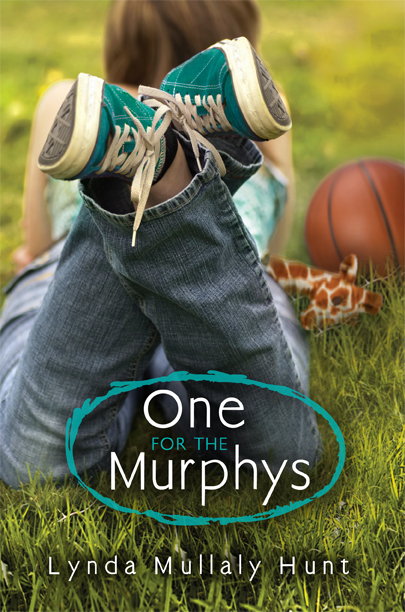 It's anyone's guess who will actually survive Expedition Survival. . . ."
One For The Murphy's by Lynda Hunt: "Carley uses humor and street smarts to keep her emotional walls high and thick. But the day she becomes a foster child, and moves in with the Murphys, she's blindsided. This loving, bustling family shows Carley the stable family life she never thought existed, and she feels like an alien in their cookie-cutter-perfect household. Despite her resistance, the Murphys eventually show her what it feels like to belong--until her mother wants her back and Carley has to decide where and how to live. She's not really a Murphy, but the gifts they've given her have opened up a new future." 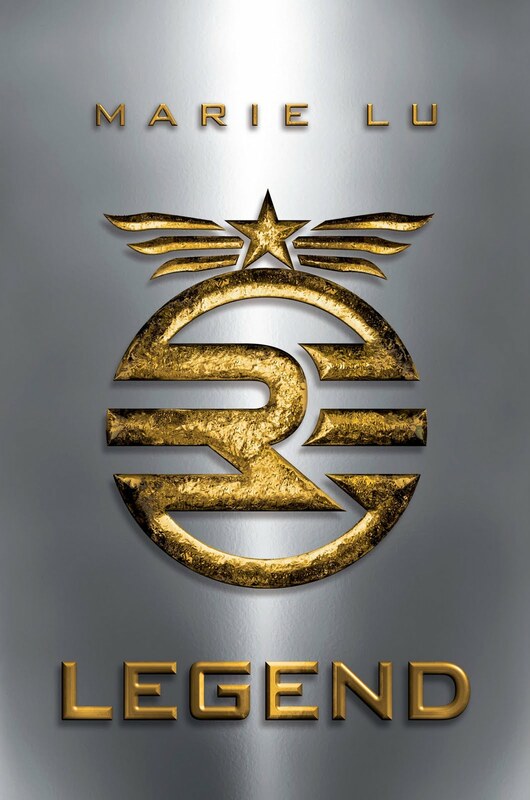 Legend by Marie Lu: "What was once the western United States is now home to the Republic, a nation perpetually at war with its neighbors. Born into an elite family in one of the Republic's wealthiest districts, fifteen-year-old June is a prodigy being groomed for success in the Republic's highest military circles. Born into the slums, fifteen-year-old Day is the country's most wanted criminal. But his motives may not be as malicious as they seem. From very different worlds, June and Day have no reason to cross paths - until the day June's brother, Metias, is murdered and Day becomes the prime suspect. Caught in the ultimate game of cat and mouse, Day is in a race for his family's survival, while June seeks to avenge Metias's death. But in a shocking turn of events, the two uncover the truth of what has really brought them together, and the sinister lengths their country will go to keep its secrets." 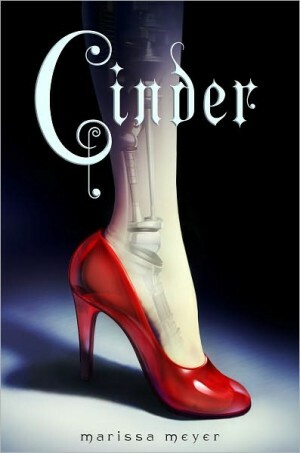 Cinder by Marissa Meyer: "Humans and androids crowd the raucous streets of New Beijing. A deadly plague ravages the population. From space, a ruthless lunar people watch, waiting to make their move. No one knows that Earth’s fate hinges on one girl. . . . 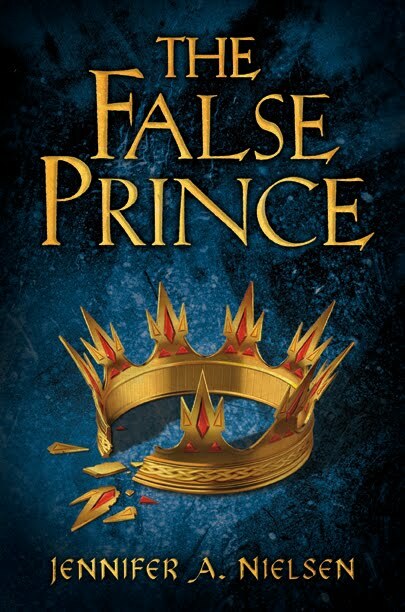 The False Prince by Jennifer Nielsen: "In a discontent kingdom, civil war is brewing. To unify the divided people, Conner, a nobleman of the court, devises a cunning plan to find an impersonator of the king's long-lost son and install him as a puppet prince. Four orphans are recruited to compete for the role, including a defiant boy named Sage. Sage knows that Conner's motives are more than questionable, yet his life balances on a sword's point -- he must be chosen to play the prince or he will certainly be killed. But Sage's rivals have their own agendas as well. As Sage moves from a rundown orphanage to Conner's sumptuous palace, layer upon layer of treachery and deceit unfold, until finally, a truth is revealed that, in the end, may very well prove more dangerous than all of the lies taken together." 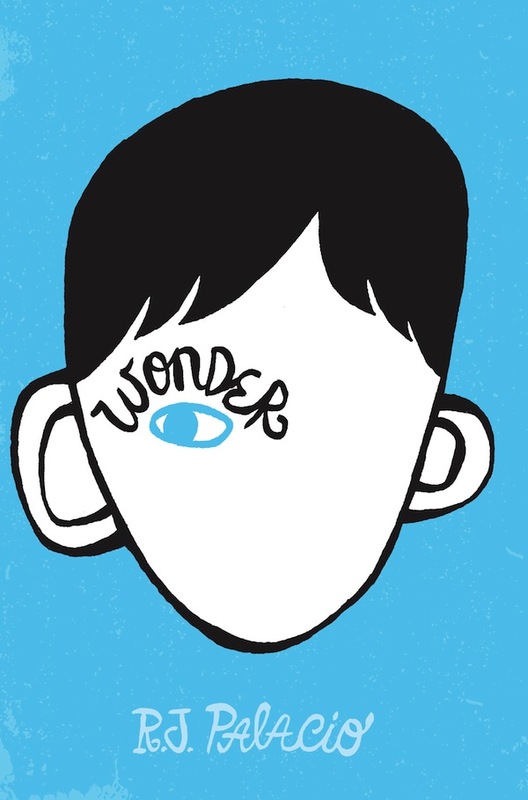 Wonder by R.J. Palacio: "August Pullman was born with a facial deformity that, up until now, has prevented him from going to a mainstream school. Starting 5th grade at Beecher Prep, he wants nothing more than to be treated as an ordinary kid—but his new classmates can’t get past Auggie’s extraordinary face. WONDER, now a #1 New York Times bestseller and included on the Texas Bluebonnet Award master list, begins from Auggie’s point of view, but soon switches to include his classmates, his sister, her boyfriend, and others. These perspectives converge in a portrait of one community’s struggle with empathy, compassion, and acceptance." Starters by Lissa Price: " In the future, teens rent their bodies to seniors who want to be young again. One girl discovers her renter plans to do more than party--her body will commit murder, if her mind can't stop it. Sixteen-year-old Callie lost her parents when the genocide spore wiped out everyone except those who were vaccinated first--the very young and very old. With no grandparents to claim Callie and her little brother, they go on the run, living as squatters, and fighting off unclaimed renegades who would kill for a cookie. Hope comes via Prime Destinations, run by a mysterious figure known only as The Old Man. He hires teens to rent their bodies to seniors, known as enders, who get to be young again. 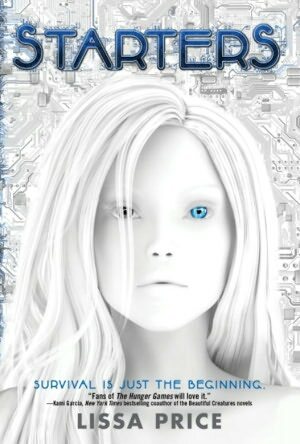 Callie's neurochip malfunctions and she wakes up in the life of her rich renter, living in her mansion, driving her cars, even dating Blake, the grandson of a senator. It's a fairy-tale new life . 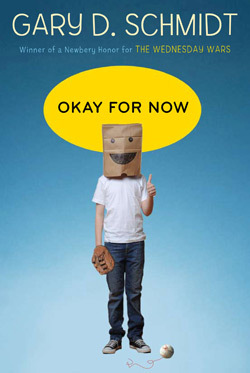 . . until she uncovers the Body Bank's horrible plan. . . ."
Okay For Now by Gary D. Schmidt: " As a fourteen-year-old who just moved to a new town, with no friends and a louse for an older brother, Doug Swieteck has all the stats stacked against him. So begins a coming-of-age masterwork full of equal parts comedy and tragedy from Newbery Honor winner Gary D. Schmidt. 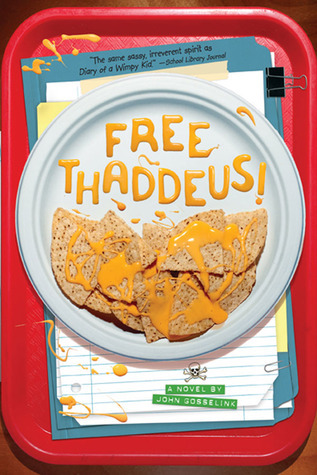 As Doug struggles to be more than the “skinny thug” that his teachers and the police think him to be, he finds an unlikely ally in Lil Spicer—a fiery young lady who “smelled like daisies would smell if they were growing in a big field under a clearing sky after a rain.” In Lil, Doug finds the strength to endure an abusive father, the suspicions of a whole town, and the return of his oldest brother, forever scarred, from Vietnam. Together, they find a safe haven in the local library, inspiration in learning about the plates of John James Audubon’s birds, and a hilarious adventure on a Broadway stage." 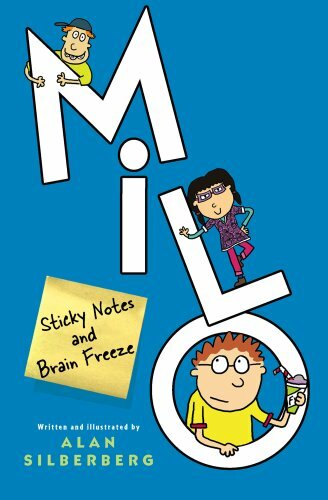 Milo, Sticky Notes and Brain Freeze by Alan Silberberg: "Loveable thirteen-year-old geek Milo Cruikshank finds reasons for frustration at every turn, from the annoying habits of his neighbors to his futile efforts to get Summer Goodman to realize his existence. The truth is, ever since Milo’s mother died, nothing has gone right. Now instead of the kitchen being full of music, his whole house has been filled with Fog. Nothing’s the same. Not his Dad. Not his sister. And definitely not him. Milo achieves a rare and easy balance of poignancy and awkward, natural humor, making it deeply accessible—this is the kind of book that can change lives." 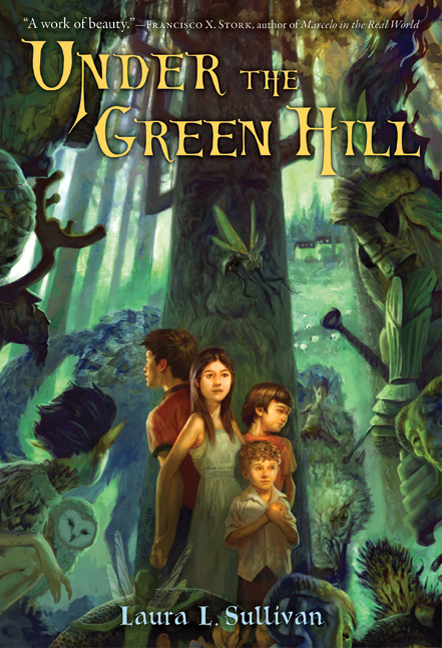 Under the Green Hill by Laura L. Sullivan: "Rowan, Meg, Priscilla, and their little brother, James, are off to the English countryside to stay with relatives at the Rookery. The children are looking forward to exploring the ancient mansion and perhaps discovering a hidden secret or two. Little do they know this is a seventh summer. Every seventh summer, a fairy war is fought on the Green Hill—to the death—with a human champion. And Rowan has been chosen as one of the champions. Meg is desperate to save her brother. But the Midsummer War is far more than a battle between mythic creatures: Everything that lives depends on it. How can Meg choose between family and the fate of the very land itself?" 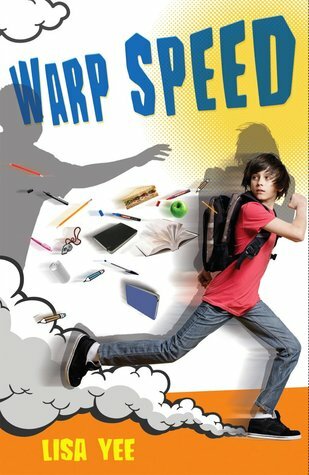 Warp Speed by Lisa Yee: "Entering 7th grade is no big deal for Marley Sandelski: Same old boring classes, same old boring life. The only thing he has to look forward to is the upcoming Star Trek convention. But when he inadvertently draws the attention of Digger Ronster, the biggest bully in school, his life has officially moved from boring to far too dramatic . . . from invisible to center stage." Disclosure: All blurbs are from the publishers and not reviews from moi. I am off to a great middle school start! I have read 11 of the 15 middle school titles (most of them for the CYBILS)! My district hosts a "Battle of the Books" where middle schools compete to see who can remember the most details about each of the fifteen middle school books. It is a lot of fun and a ton of hard work for the kids.